You bookmark this page and it will have links to every match’s highlights. The other way is to use navigation just under the logo. goto football >> Highlights category and you will have matches listed there. World Cup 2014 will be getting underway in a weeks time and currently we have all 32 nations playing warmup games heading to the big event. Here on tsmplug we will be covering each and every game of world cup with live match links, pre match and post match shows . 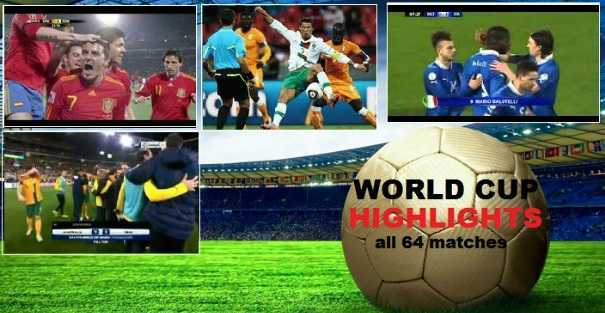 So if you miss the game for one reason or the other, you can come to this page right here which will have match highlights of all 64 matches.